The donors of Bon Secours Richmond Health Care Foundation are some of the best people we know. They give generously, but also creatively and with a heart for our mission to give good help to those in need. Meet some of the donors who are making a difference to folks in our community. After miscarriages and fertility treatments, Stefanie and Karl Smith finally got some good news: She was pregnant with twins. But at just 24 weeks pregnant, Smith learned at a routine prenatal visit that her cervix was already dilated. Though her doctor put her on bed rest, nine days later Jack and Abby were born. The Smiths watched in shock as their babies struggled to survive. Abby passed away at 13 days old and Jack followed her 12 days later. While many would remain paralyzed by the loss, the Smiths decided to draw on their experience to help others. Their Jack and Abby Neonatal Foundation is making a big difference by increasing awareness of pre-term labor and raising money to help families with children in Richmond-area Neonatal Intensive Care Units. Teaching women about pre-term labor risks and symptoms is central to the Jack and Abby Neonatal Foundation’s work. The Foundation also helps with the financial burdens when a baby is in NICU by paying for child care for older children, hotel rooms, car seats, food, transportation and more, which is especially important for families who live far from a major hospital. “We hope that this helps families stay together and focus more on each other and less on finances during such an unknowing and trying time,” Stefanie said. The Jack and Abby Neonatal Foundation sponsored a room at the Evelyn D. Reinhart Guest House on the campus of St. Mary’s Hospital. Families with a child in the NICU will be able to stay in a private bedroom with access to a kitchen and community room. They will also be able to draw support from others at the house. Learn more about the Smith's cause here. Rachel Rockecharlie: It’s not just a class project, it’s their lives. Due to a series of complications at birth, Rachel Rockecharlie faced various surgeries and intensive physical therapy at a very young age. 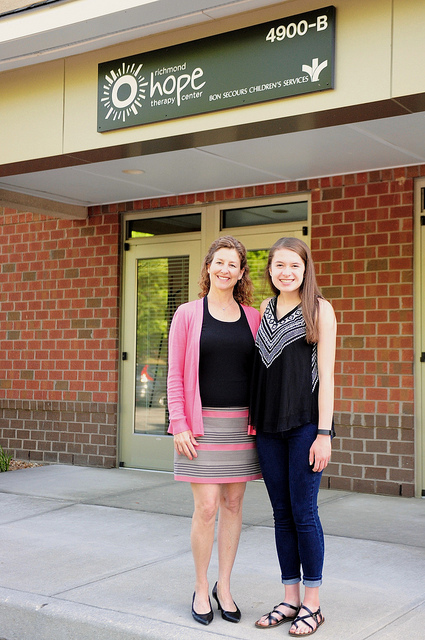 Now in her teenage years, she hasn’t forgotten about the impact of the physical therapy and how it brought her independence and hope. When a class project focused on service learning encouraged students to think about what cause they’d like to support, Rachel knew she wanted to focus on Richmond Hope Therapy Center (RHTC). She reconnected with Cindy Richards, her therapist when she was a child and founder of RHTC. Through her project and learning more about the work at RTHC, Rachel raised more than $1,200 for the organization and started volunteering at various family events (certainly more than the class assignment requested). Rachel said, “It’s not just a class project; it’s their lives. They’re experiencing the same hope my family experienced. These kids are having fun and feeling accomplished. I know that feeling.” Rachel now plays tennis for her school and is considering a future career in physical therapy. Read about how donors such as the Edna S. Hopkins family make a difference. Learn how Kyle Woolfolk and Dr. George Trivette are working to open Richmond's first Community Hospice House. 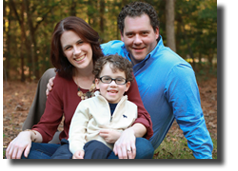 Learn about Jack Cullather's story and the Cullather Brain Tumor Quality of Life Center here. 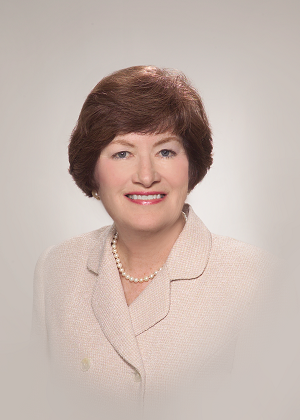 Evelyn D. Reinhart loved nursing. As a result, the Reinhart Foundation supported the building of the St. Mary's guest house in honor of her help to families with loved ones in the hospital. Learn more here.